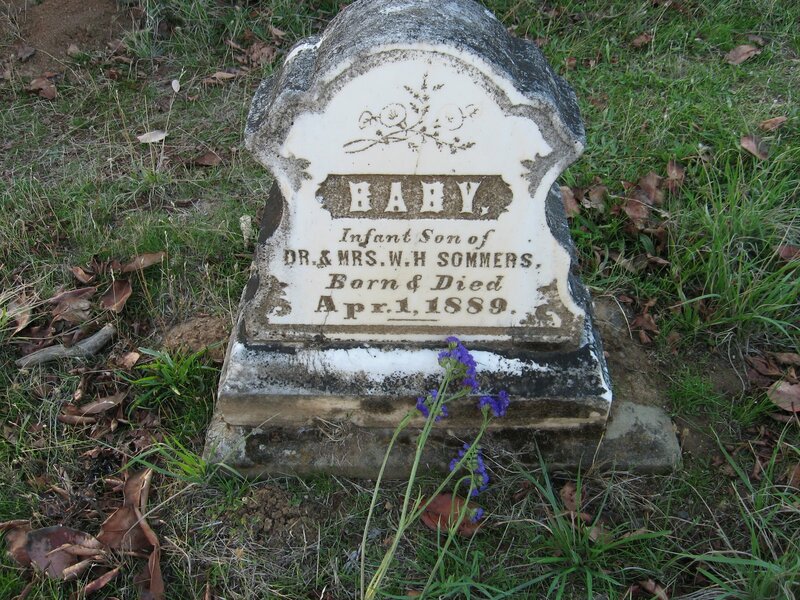 Our family has never tried to analyze what draws us to cemeteries. But our photo albums and memories are full of pictures from wandering through many such places all over the world. Last December I snapped this photo of our soldier son at the Golden Gate National Cemetery in San Bruno, near San Francisco. We had some time on our hands and we noticed this vast military cemetery nearby, so we decided to stop in. In England, Pippin and I visited ruins of St. Augustine’s Abbey in Canterbury and the 8th Century graveyard where some Orthodox Christians just happened to be visiting a particular grave that day. I took it as a special gift from God that they could show us the marker where St. Theodore (AD 602-90) had been buried. He came from Tarsus at the age of 67 and was one of the most important archbishops of Canterbury, and a link between East and West. We also visited the grave of Winston Churchill near Woodstock, Oxfordshire. How wonderful to be able to put flowers on his grave (My daughter thought to do this, not I), to be close to him in a quiet churchyard with no crowds pressing. But most of it is just history of everyday nobodies like us. Even in “historical” cemeteries the dignitaries who are buried there become less famous with every passing year, as the generations also pass and the descendants don’t remember very far back. So perhaps it’s not just history that is appealing. I can’t speak for anyone else in my family, but for me there is some blessing in being reminded of the death that lies ahead for all of us, and a feeling of connection to those who have “passed over” to where they know a lot more now about Who God is and what Life and death are all about. 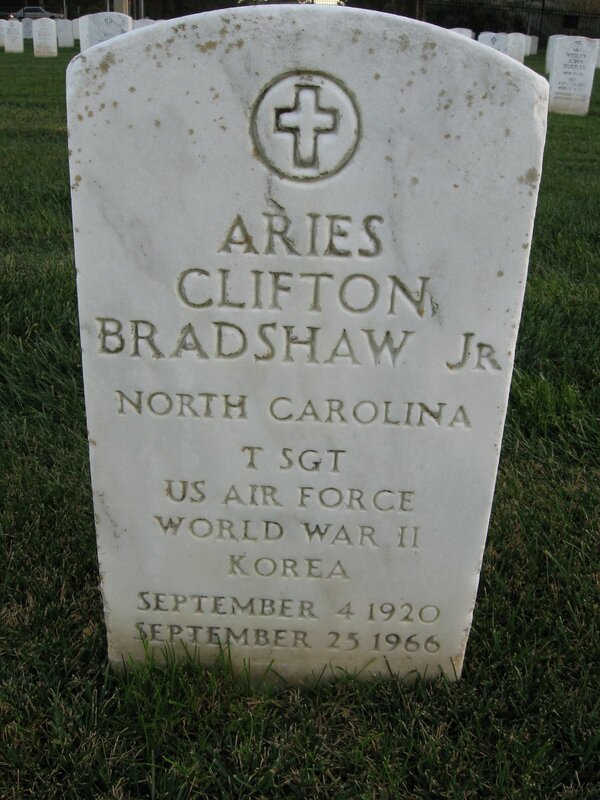 Aries Clifton Bradshaw Jr. (photo above) is buried at the Golden Gate National Cemetery. In the Orthodox Church we pray for the dead that their memory would be eternal. Considering how people are not good at remembering, it appears that if anyone is going to remember us eternally it will have to be God Himself. This fact was referred to today at a Memorial Day celebration I attended, where in a prayer given by a creaky-voiced elderly man I caught a few words about those sailors who have sunk into the deep “where only Your Name goes.” We were at the rural cemetery, and this year the historic societies were dedicating a new flagpole. There were things for sale: homemade pie with milk–how homey!–and rosebushes propagated from vintage varieties that have grown in the cemetery for many decades. Women dressed in Civil War era costumes laid wreaths in honor of those who had died in service to their country. For over a hundred years Decoration Day (the previous name for Memorial Day) has been kept by similar ceremonies in this place. So many of the graves here are old and abandoned, and the historical association has set up a program by which one can adopt a grave. At least 40 of the gravesites now have been adopted by people who keep the weeds down and might also plant some native plants for beautifying. I would love to do this! 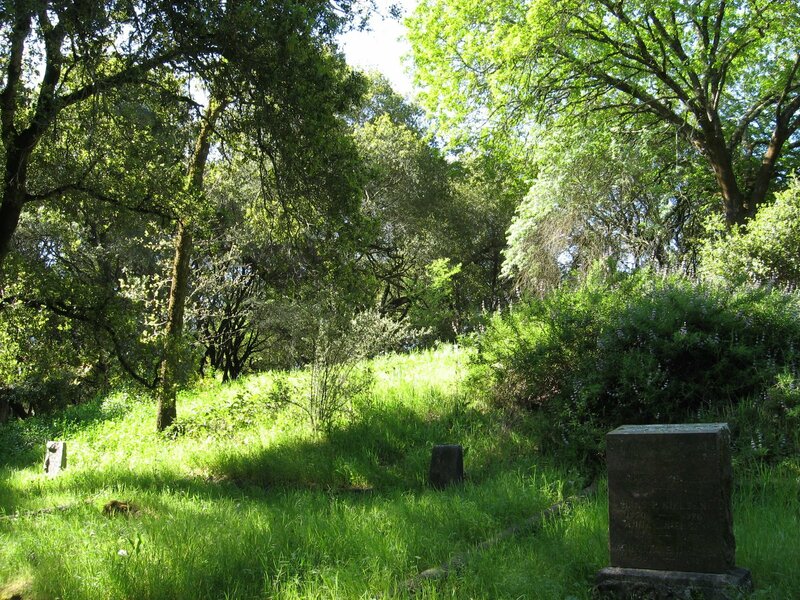 It is a rural cemetery, with headstones and crypts scattered all over hilly terrain covered with oaks and wild grasses. Not the sort of place with acres of lawns and flat markers that can be easily mowed over. Headstones are not allowed in most cemeteries nowadays. This picture of a lawn is where my paternal grandparents are buried. 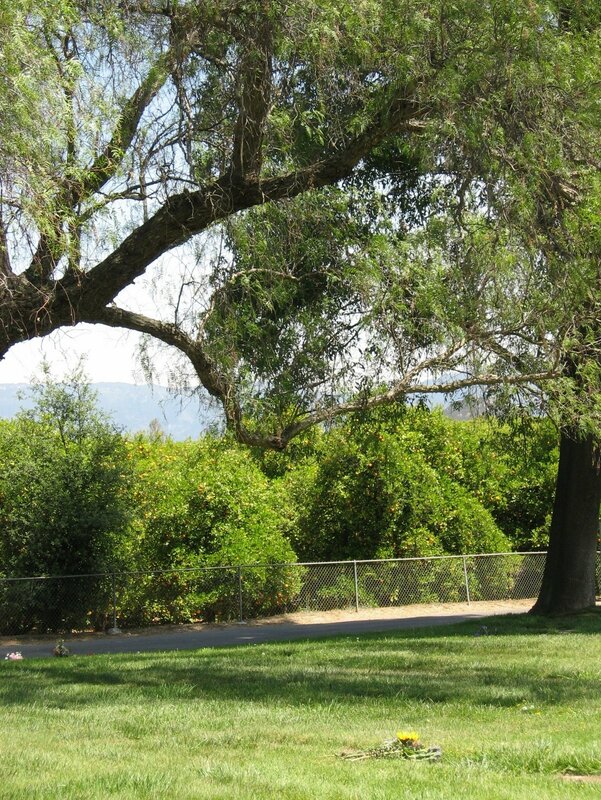 It is a nice “memorial park” surrounded by orange groves and with shady oaks. My grandmother died 20 years before my grandfather, and he planted and tended roses by her grave, until they were banned in favor of the flat look. All through history, Christians have buried their dead. The incinerating of human bodies, dead or alive, has most often been done in desecration of one’s enemies. I don’t like the flat and somewhat boring grave markers, but they are better than having one’s remains scattered to the four winds. They are at least marking a grave, where those left behind have honored their dead by making a place for their bones, planting them in the earth as the Bible describes it, as our Lord was planted. Those who will to have their own selves cremated–well, as my former landlady would say, they aren’t going to escape being raised to Judgment. Or as I would say, God won’t have any difficulty in remembering them. An honoring of the dead, thank you.